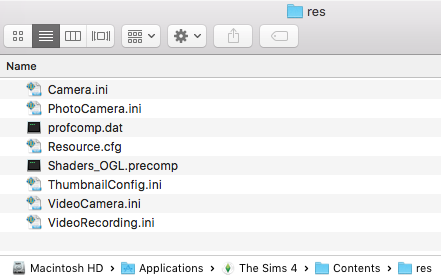 Right click (or CTRL and click) on the Sims 4 in your Applications folder and select Show Package Contents. You can open and edit them using TextEdit or you can download and install TextWrangler from the App Store. It’s free and makes reading and editing the ini files a lot easier.